BONNIE X CLYDE, the DJ/producer/vocalist duo, have continued their rapid rise to stardom. Their debut "WANTED" EP captured the hearts and minds of millions with their leadoff single "Bass Jam" topping the charts at #1 for seven weeks straight and accumulating millions of streams on Spotify. 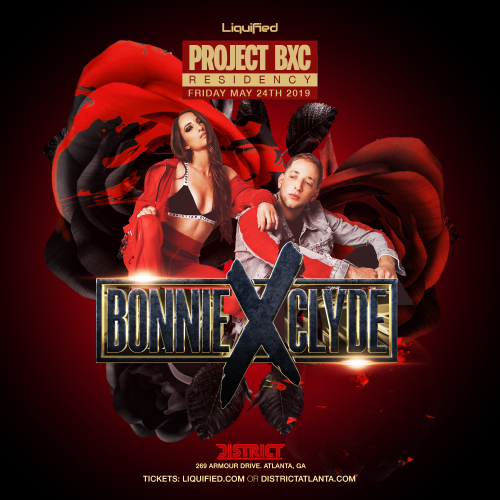 BONNIE X CLYDE took their success on the road, embarking on a rigorous touring schedule both nationally and internationally. BONNIE X CLYDE have undoubtedly positioned themselves for a monumental year in 2018. Continuing to takeover new markets, their fan base "The Rosegang" has grown exponentially worldwide. Spotify and Apple Music identified BONNIE X CLYDE as an act to look out for in 2018 and the duo has been featured in several premiere music playlists including Crate Diggers, Fresh Electronic, New Music Friday, Best of the Week & A-List Dance. BONNIE X CLYDE are set to release their highly anticipated "While We're Young" EP this July.